Another eventful week on the French side of the Channel after technical trouble at Eurotunnel, migrants cause two serious crashes on the port road, plus strikes at Calais and Dunkirk. A quick guide to the Tour de France route, on-going around France for the next three weeks. Technical trouble, migrants and strikes on the French side of the Channel. A train stuck in the Channel Tunnel early on Thursday evening was only finally freed at 23:00. It meant massive knock-on delays on Friday – up to five hours for cars on the UK side in the afternoon – which sparked anxiety among fans heading to the Wales-Belgium Euro16 match in Lille. Luckily they ‘largely’ made it according to Eurotunnel (singer Cerys Matthews’ twitter feed has all the details). The firm said later that any fans looking to stay longer in France to watch the semi-final match would be able to amend tickets without charge. Meanwhile, first thing on Thursday, another ‘labour law’ strike blockaded Dunkirk for two hours and backed up traffic on the A16 autoroute. It followed a strike in Calais port on Wednesday among freight processing staff which ultimately passed without any disruption. 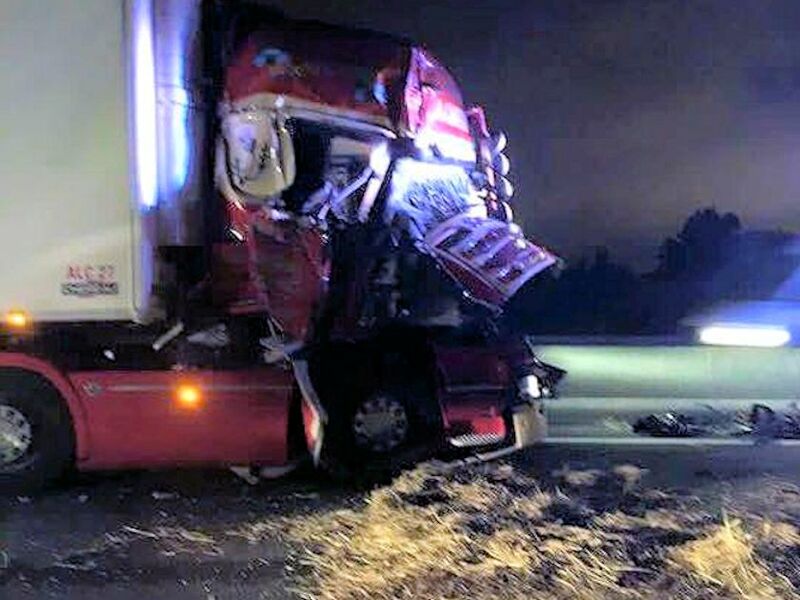 Finally, following on from Steven Swinscoe’s crash with a migrant barrier on the N216 Calais port road overnight Tuesday-Wednesday – which luckily caused no injuries but wrote off his car – a British trucker was involved in an even more serious incident. His truck was one of two which collided after hitting straw bales left on the road by migrants in the early hours. The unnamed driver was shaken but unhurt according to campaign group Les Calaisiens en Colère, though he had to be cut out of the cab by CRS riot police and was taken to hospital for observation. The latest incident reinforces our advice that drivers should be extra careful in and around Calais port at night. Local resident @MadameMcWhy advises not to use the port road before 07:00. Head through Calais town centre if possible. Incidents are much rarer at Dunkirk port though there are anxieties about the new camp at nearby Grand-Synthe, right beside the A16. The local council is currently building a 600 meter fence between the Grand-Synthe camp and the motorway at a cost of €400,000. There are also hopes of improved security after the finishing touches are completed on a similar fence along the Calais port road – and that the new public prosecutor in the region will take a tougher line with migrants than her alleged soft-touch predecessor. Update Monday 4 July: the body of a migrant was found on the Calais port road at 07:00 this morning, apparently after being hit by a vehicle reports La Voix du Nord. The Tour de France kicks off today at Mont Saint Michel in north west France. Over the next three weeks the race runs broadly anticlockwise around the country – though it heads south via Limoges in central France. TdF hits the Pyrenees next weekend and the Alps a week later on Sunday (17 July) including a foray into neighbouring west Switzerland. See more at LeTour.com. 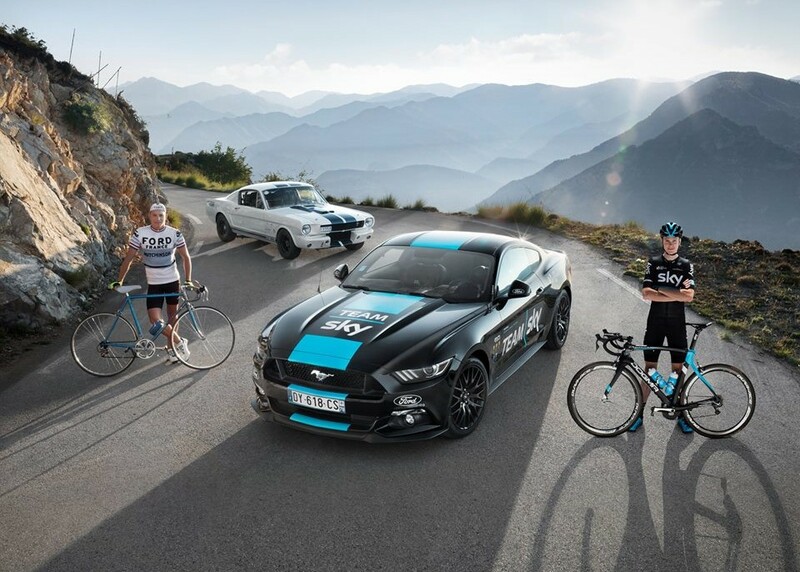 Photo @TEAMSky, sponsored for the first time this year by Ford. Do not use the main ferry approach road after dark. We were travelling at around 11.30pm last night along the N216, travelling at the speed limit around 90kph. The road is totally unlit. Fortunately I have a car fitted with laser lights and powerful brakes, as out of the dark we saw a tree stretched right across the road. Fortunately we just stopped in time. Then out of the dark a whole load of migrants appeared who then pulled the tree out of the way to let us through because they could not hide in/on a small sports car, their target was the trucks. Upon reporting it we were just advised not to use that road after dark but approach the port through Calais town. I think it is appalling that the ferry companies do not warn their customers.